Often hailed by liberal propagandists as “the world’s largest democracy”, the Indian state is really the world’s largest dictatorship of the bourgeoisie. Two-thirds of its people live on less than $2 a day[v] while its top 1% holds 73 of its wealth. [vi] The caste system, which was intensified by British colonialism to keep the Indian people divided, retains a strong hold on society. [i] Sainath, P. “Maharashtra Crosses 60,000 Farm Suicides.” People’s Archive of Rural India, 21 July 2014,ruralindiaonline.org/articles/maharashtra-crosses-60000-farm-suicides. [ii] Pal, Sumedha. 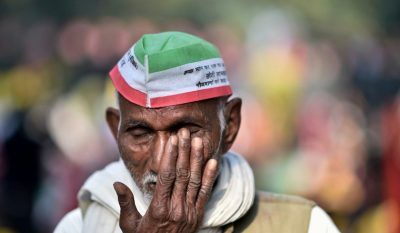 “Kisan Mukti March: ‘It’s Time to Take on the Govt and Make Our Voices Heard’.” NewsClick, 29 Nov. 2018,www.newsclick.in/kisan-mukti-march-its-time-take-govt-and-make-our-voices-heard. [v] “Poverty in India: Facts and Figures on the Daily Struggle for Survival.” SOS Children’s Villages Canada,www.soschildrensvillages.ca/news/poverty-in-india-602. [vi] “Income Inequality Gets Worse; India’s Top 1% Bag 73% of the Country’s Wealth, Says Oxfam.” Business Today, Business Today, 23 Jan. 2018, www.businesstoday.in/current/economy-politics/oxfam-india-wealth-report-income-inequality-richests-poor/story/268541.html.